America's largest Mexican Fast Food Restaurant chain expands in Mumbai with more delectable Tacos, Burritos. Recently, I was invited by the brand team to experience their cuisine at their new outlet in R City Mall, Ghatkopar. Initially, I was a little skeptic as a lot of my experience with Mexican food that is available in India, was not as good. I remember seeing Taco Bell outlet in Oberoi Mall and have thus given up to temptation. The event was quite unconventional and exciting. And it was not just the food but we get to go inside the Taco Bell kitchen and go through their cooking culture, serving metrics and quality standards. It was quite interesting and inviting. Especially I loved the way, the team created and maintained rigor within outlet using a creative, engaging team cheer to keep the interest of their staff alive, who would be doing a standardized job whole through the day. The kitchen tour was then followed personalized food tasting along with the gorgeous brand head who flew in from Delhi. A crunchy corn chips loaded with delightfully cheesy, tangy and spicy topping. The one served was quite different from the usual Nachos that we have usually. They were crunchier and lighter. The topping was quite flavorful, making the nacho snacking irresistible. It is a roll with many fillings and Taco Bells' signature sauce packed in soft Tortilla. And in 7 layers, you can imagine 7 ingredients in the filling. Do note that Mexican food is known to be quite spicy and saucy, and while Taco Bell has tried to tone down the spice levels to suit Indian Palate, the saucy part has not been compromised on and in spite, it makes a great choice for finger foods. But yes, do consume it immediately as it may turn soggy and lose on the aroma and flavors. Have all items made a fresh post the receipt of the order and it has an open kitchen wherein customers can see their food being prepared, also allowing options for food customization on request. Temperature and stock control to ensure food freshness, taste and hygiene. Haute Kutir Verdict: India is waking up to the taste and delicatessen of Mexican Food. A lot is being sold in name of Mexican food and often, a lot of them do neither taste authentic nor conducive to our taste buds. 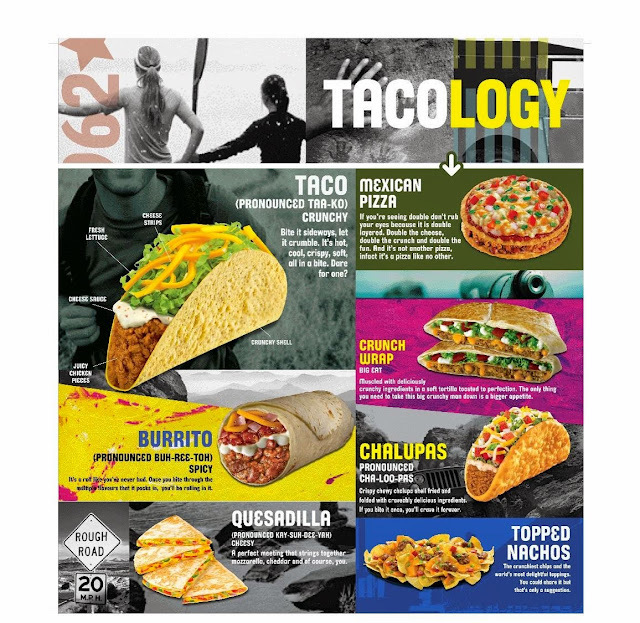 Taco Bell along with its large variety of food which also includes some tastes from Indian cuisine offers a very good option to people like us who like to eat different cuisines. 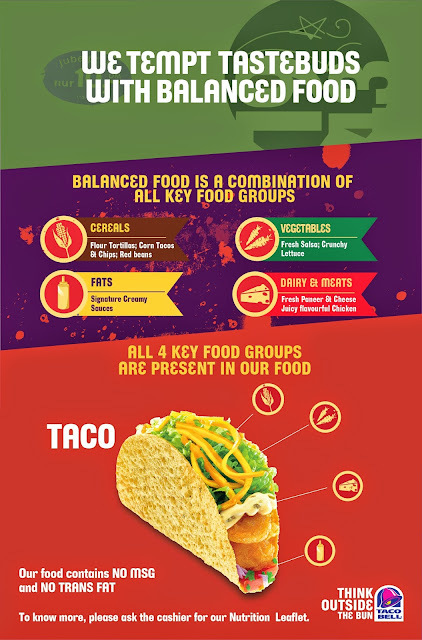 Above all, Taco Bell has not just a variety of finger foods but also are highly affordable. I loved their everything of theirs including Nachos to Taco Bell Pizza. Yes, Taco Bell pizza. they were not just amazing but much better than what is being sold at some flagship pizza outlets in India. I would love to revisit Taco Bell and hope to have more outlets being opened at Mumbai including Inorbit and Infinity at Malad. The food was not just rich, succulent but full of different flavors. Besides, the hygiene levels were too good to ignore and make for an awesome, worthy visit with your family next time. Do try the chocolate filled chocodilla. Its simple yet yummy and kids would love it. Do follow me on Instagram,Twitter and Facebook Page for quick updates.